What's so great about High Pressure Tanning Lamps? High Pressure lamps deliver more tanning power that virtually eliminate the risk of burning. 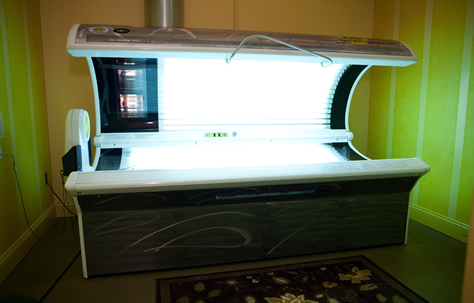 HP lamps develop a faster, deeper, darker, longer-lasting tan, allowing for more time in between sessions. 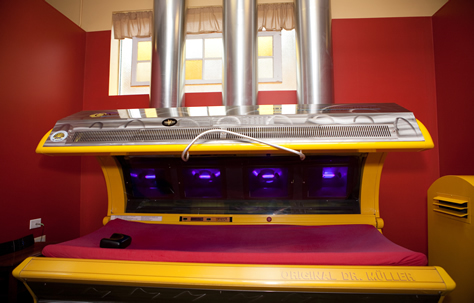 High Pressure also produces a rich brown color, instead of the reddish-pink tint that is common from traditional tanning beds. 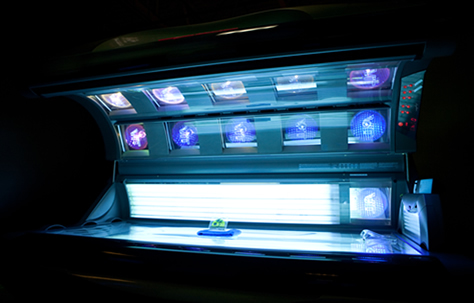 Since High Pressure virtually eliminates burning and lessens the need to tan frequently, High Pressure is often thought to be much less damaging to the skin, which is why High Pressure lamps were first introduced above the facial area (as in the Tropical, above left, and the Orbit, above right) where signs of aging are most predominant. High Pressure also leaves your skin natural and soft as compared to the thickening effect that traditional low pressure lamps deliver. Due to the excellent benefits and results of High Pressure, it is now incorporated throughout the entire bed. The Omega (above left) is completely High Pressure, and the Ultra Classic 650 (above right) is a combination of High Pressure and VHR reflector lamps designed to mimic High Pressure. 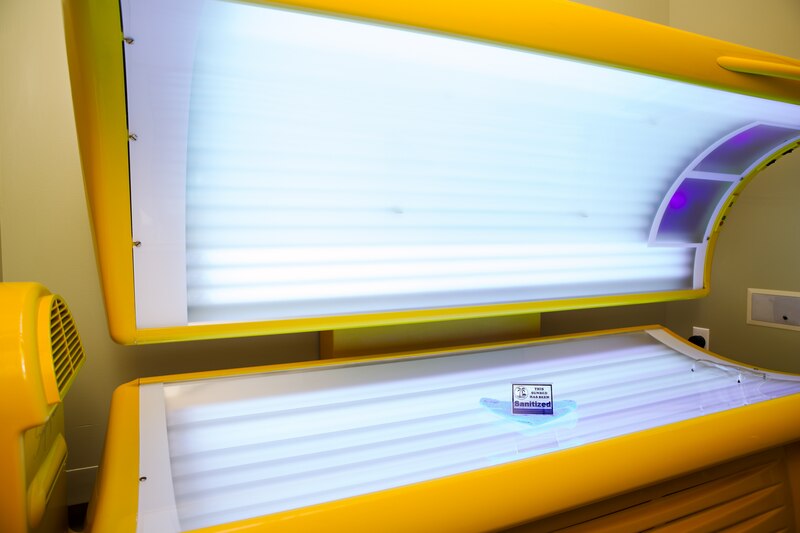 While they are more expensive per session, they are intended for only 3-4 sessions to achieve your tan, then just 3-4 sessions per month to maintain your tan! Our newest High Pressure addition, the Sunboard Plus HP, features an open air design which creates a most unique tanning experience. 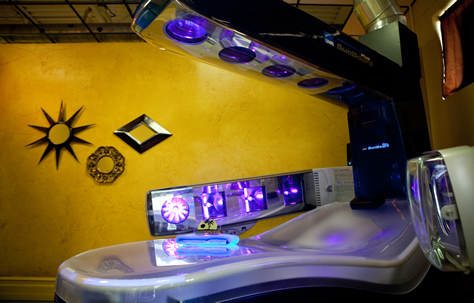 Probably the most gentle and relaxing High Pressure tanning session you'll ever experience. Tan in moderation, never burn, and always use a salon quality lotion while you tan.